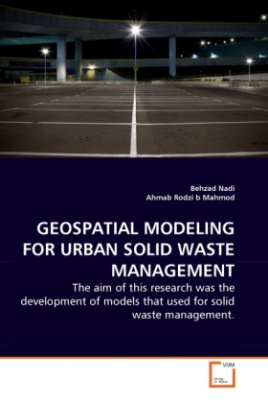 In this study, for prediction of solid waste, extra parameters such as fuel consumption, machinery, and labor force (waste collection and transport) were employed to assess their effect in improvement structure of ANN model and training performance of generated model. For landfill site selection, three methods of simple additive weighting, ordered weighted averaging, and weighted linear combination were used in Fuzzy logic. Based on the results, many locations were found by WLC but not all of them were qualified. In addition, a response surface model (RSM) was established and numerical simulations were performed to study the impact factor for optimization of solid waste management. The effects of three parameters such as fuel consumption, total workforce, and volume of transport were investigated. Reasonable and simple expressions for calculating the impact factor were suggested and established from the results from the study of distribution of impact factors.